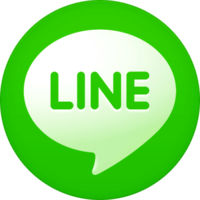 LINE is a popular instant messaging application on the smartphone. The program is present in the iPhone, Android, Windows Phone, BlackBerry, and Nokia Asha. For computer / laptop is also available for Windows. This application allows the user to communicate. In this application, there are features such as sticker funny and interesting. In addition, there are also features video calling and calling and of course dependable. Features of the group to talk to each other a lot of friends. These advantages make the program then considered to be the most robust applications. This software could even compete with the popularity of WhatsApp. One thing that is featured on the app support the use of the computer. This application is not only to be installed on mobile devices, but also on the computer Desktop. LINE for PC is currently the most popular application among computer users. Therefore, the user can access the software on your computer or laptop LINE. After downloading further by installing this program on your PC Desktop. Click the .exe file you downloaded and installed like any other program installed. When installing, no ads that accompany this program. So click Next to continue is not a problem. Do not forget to specify exactly where or folder installed software. LINE adalah Aplikasi pesan instan populer di smartphone. Program ini hadir di iPhone, Android, Windows Phone, Blackberry, dan Nokia Asha. Untuk komputer/laptop pun tersedia bagi Windows.